Happiness is... Peanuts: Team Snoopy, the latest DVD from Warner Home Video, is now available. 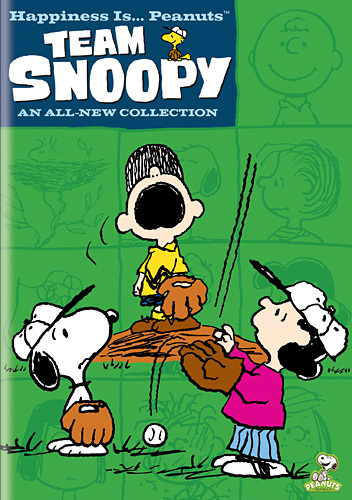 The DVD features two half-hour shows: the 2003 special Lucy Must Be Traded, Charlie Brown and "Snoopy's Brother Spike," episode #15 of The Charlie Brown and Snoopy Show from 1985. There are no special features. Happiness is... Peanuts: Team Snoopy has a suggested retail price of $14.97. For more details about the DVD, see our previous announcement. I picked this up on Tuesday. Nice addition to the collection. I really want a 1980's Volume 1 Collection.